Cruise travel is an ideal invention of our high paced modern world where there are so many places to see and so little time. Cruise vacation allows us to accomplish these goals and see a variety of sea ports, learn the unique culture of local inhabitants and most importantly have fun aboard ultra chic mega sized ships fit for a lavish vacation outfitted with swimming pools, tennis courts, water theme parks, casinos and skating rinks. High end cuisine, top notch entertainment and the best of world travel is within reach for all of us. In addition, many cruise lines offer themed cruise travel for destination weddings or kid oriented adventures like Disney cruises. 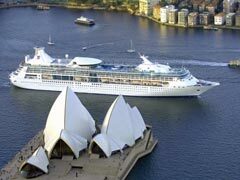 Our cruise travel guide will present some of the most famous cruise vacation destinations all over the world. Alaska cruises are some of the best in the world boasting sea ports of incredible beauty, lush northern forests, amazing wildlife and incredible landscapes. The best time to book your Alaska adventure is definitely during the short cool summers hence the high price and virtually no cruise deals for the Alaskan destinations in July and August. Cruising to Alaska opens some of the inaccessible by car travel itineraries and incredible icy vistas including northern fjords. There are about 15 cruise lines that set sail to Alaska but the number of itineraries is limited to 3 main ones. The inside passage allows for shorter cruises more appropriate for smaller vessels under 500 passengers and encompass sea ports of Juneau, Ketchikan and Skagway. The Gulf of Alaska is usually an add-on option allowing you to see the port of Seward and take a day trip to the capital of Alaska, Anchorage. 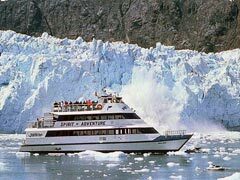 For true adventurers, there’s the 3rd option of Bering Sea cruises and a variety of land based excursions. 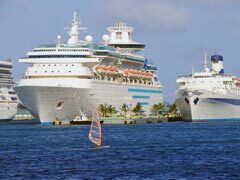 Caribbean cruises are the most popular options in the world since going on one trip means you can visit up to 5 or 6 various ports of call if not more. 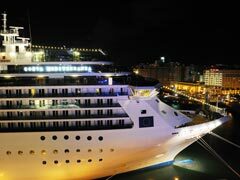 Choosing between Western and Eastern Caribbean cruise vacations is perhaps the most challenging choice there is. If you can afford it, sail to Western Caribbean first and book an Eastern Caribbean trip for your next vacation, you just can’t go around it. Despite their similarity, both options offer unique shore excursions and cultural activities. Most Eastern Caribbean ships depart from Florida and head to such destinations as Bahamas, Puerto Rico, Virgin Islands and St Maarten. Fantastic beaches, water sports activities and fun adventures are guaranteed. In Western Caribbean portion the islands are farther apart from one another equaling to longer cruises and more days at sea. During such sea adventures you can see places like Mexico, Grand Cayman, Jamaica and even Dominican Republic. More cultural activities geared towards Maya civilization fans and nature and beach lovers! European cruises allow its passengers to explore multiple historical and cultural riches many Western and Eastern European cities have to offer along with splendid art galleries, ancient sites and modern urban cities. In Europe blessed with a myriad of gorgeous rivers, River cruises are especially popular centered around great rivers like Danube River in Hungary, Douro River in Spain and Portugal, but especially alluring are definitely Russian river cruises taking you along its greatest Volga River. Northern European cruises will take you to the ports of call in Scandinavia, majestic fjords of Norway, British Isles, Baltic States and St Petersburg, Russia. Among a plethora of European cruising options Mediterranean cruises stand out apart due to the vastness of the Mediterranean ports of call included in the voyages. You can expect to set sail through countries like Italy, France, Greece, Spain and Turkey. Most Asia cruises destinations could be easily grouped into Southeast and Southwest Asia cruises. Southeast Asia includes destinations like Japan, China, Vietnam, Thailand and Malaysia for the length of cruising from 7 to 22 days. Exotic Asian destinations offer a myriad of incredible sea ports with a head spinning amenities onboard and shore excursions. Southwest Asian cruises are often combined with Middle Eastern destinations and usually cruise along the Red Sea and the Indian Ocean and include sea ports in countries like Egypt, Jordan, United Arab Emirates and even Qatar. In addition to sea and ocean voyages many travelers specifically opt for peaceful Asian river cruises at destinations like Yangtze River in China and Mekong River in Cambodia to name just a few. Hawaii cruises are a nearly perfect way of sailing along 8 major Hawaiian volcanic islands and get engaged in various water and land based activities unlike a regular vacation. Only a cruise allows you to marvel at Kauai’s coast and shortly after that frolic at the Waikiki beach in Honolulu. You can choose from several Hawaii cruising options. 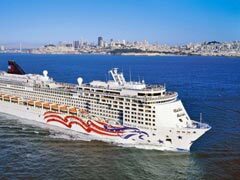 Board a Norwegian Cruise ship on a 7 night all-inclusive Roundtrip from Honolulu adventure to see the most of Hawaii. If you have around 15 days to spare opt to sail from California, Vancouver or Ensenada. Though the shore excursions are spectacular ranging from Pearl Harbor in Oahu, to historical tours around the Big Island, to Waimea Canyon in the Kauai, the prices are twice as high of those in the Caribbean. South America cruises are some of the most spectacular cruising options especially during the Northern American winters. An average length of the South American cruising adventure is around 2 weeks encompassing various ports of call such as Rio de Janeiro, Montevideo and Buenos Aires. The Amazon River cruise lasting up to 28 days is not to miss opening unbelievable vistas, jungle forests and incredible wildlife. Round the Horn cruising adventures take approximately 14 days with limited ports of call in Buenos Aires, Punta Arenas and Valparaiso. Many inland trips could be added before or after the cruise completion including majestic Iguazu Falls in Argentina and Brazil, Machu Picchu tours in Peru and Cristo Redentor Statue in Rio de Janeiro perched on top of the Corcovado Mountain. Antarctic expeditions are not for everyone who prefers the predictability of cruise vacations. Frigid temperatures coupled with weather elements and unpredictability is what your cruise to Antarctic is going to be like since you never know where you can disembark due to weather conditions. Cruising to Antarctic is usually tackled by smaller ships carrying no more than 50 passengers eager to get up close and personal with penguins, massive icebergs and willing to kayak to the nearest snow covered surface. Whatever cruise travel adventure you choose to seek, our travel guide hopes you will step of your comfort zone to explore something off the beaten tourist path.